The Bulls for the second consecutive game fell behind by double digits early, never led and were badly outplayed, this time in a devastating 133-94 loss. And that wasn’t the worst of it as rookie Lauri Markkanen suffered a sprained ankle late in the first half and didn’t play the second half. With just under eight minutes left in the game, the Bulls trailed by 40. The Bulls were led by Robin Lopez and Bobby Portis with 17 points each. Kris Dunn had 15. Jerian Grant had nine points and eight assists. The Bulls fell to 2-9 and next play in Oklahoma City Wednesday. The Spurs are 8-5. Pau Gasol led the Spurs with 21 points and 10 rebounds. Eight Spurs scored in double figures. The Spurs shot 59.5 percent overall and 18 of 27 on threes in another lackluster Bulls defensive effort. The Bulls were six of 23 on threes. The Bulls stayed with the same starting lineup, but perhaps the last time for that one with yet another indifferent start. 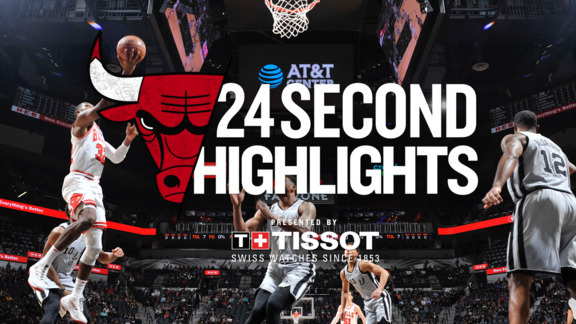 The Spurs as the Pacers did Friday in Chicago, smothered the Bulls to start with a 22-6 start that sent the Bulls into a timeout after a 14-0 Spurs run. The Bulls again were pulling up for long jump shots, failing to get to the free throw line in the first q uarter. Meanwhile, the Spurs even without Kawhi Leonard, Tony Parker, Manu Ginobili and Danny Green were the quicker team even with Pau Gasol, with 12 first quarter points, and LaMarcus Aldridge. Gasol was on the mark with threes, the Spurs five of seven overall in the quarter to lead 37-15. Portis led the Bulls in scoring in the first quarter with three points. 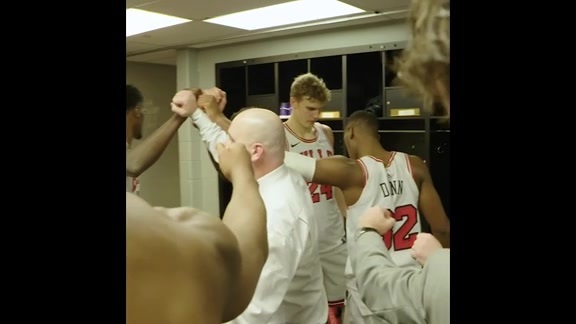 The Bulls began the second half with Portis playing for Markkanen and Dunn starting in place of Paul Zipser. Dunn went to point guard with Grant off the ball and Holiday at small forward. The hope was to get more push and aggression in the lineup with the Bulls having attempted just three free throws in the first half. But the Spurs got off quickly again to take a 71-49 lead. Dunn had a pair of driving scores and Grant added a three. But Gasol and Aldridge kept piling on the points. When the Bulls broke the lineup late and went back to the reserves, the Spurs kicked their lead up to 97-70 entering the fourth quarter. It quickly got to 102-70 less than two minutes into the fourth quarter as the Spurs then went deep into their bench for the rest of the game.